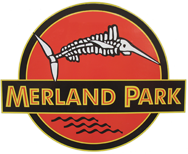 Merland Park Held its 3rd Annual Ice Fishing Derby on January 27 – 29, 2012. We had over 40 guests attend and participate. It was a huge success again this year with $800 in proceeds going to the Picton Kiwanis Club. Apparently Fear is not a Factor for these Fishermen! Maria Cervenak – Winner of the Fear Factor Challenge – ONLY Female Contestant! 2012 Ice Fishing Derby Participants! It was a little windy! No way am I swallowing the minnow after eating a worm! What do you mean you aren’t swallowing a minnow! Fox looking for a snack…. Are there any fish down there Sean? Gotta Keep those Fishermen in line! Thanks for all your hard work Jeff & Carl! The next generation of Ice Fishermen…..
Good Sports Liz & Jen! Alex about to win the Fear Factor Challenge!